Valentine’s Day is almost upon us and preparations for the most romantic day of the year are well and truly underway at Lily Beach Resort & Spa, Maldives. All the lucky lovebirds who will be celebrating the year’s most romantic day at the resort will be in for some special treats prepared by the team at Lily Beach. Hosted at Aqva from 19:30, this candlelight dinner under the stars is the place to woo your partner this Valentine’s Day. With a menu designed to fuse the freshest of ingredients, featuring oysters, lobster and succulent duck paired with wines, it is the perfect treat for the senses. 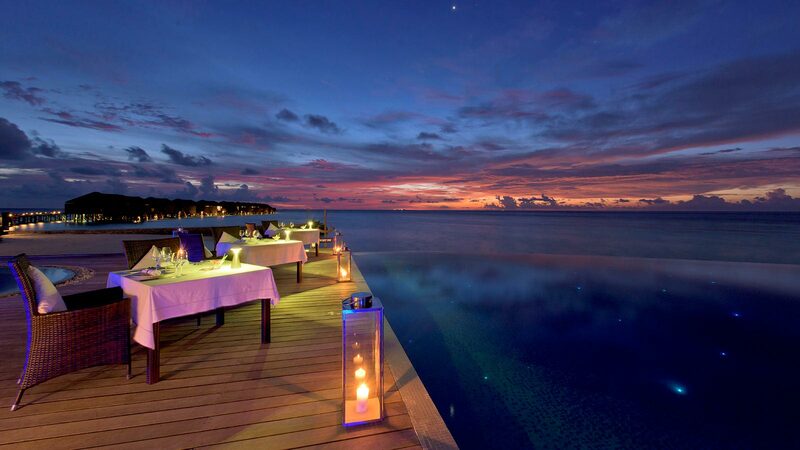 This romantic dinner has an additional charge of $100++ per couple. Lily Maa will feature a special Valentine’s Day themed buffet on the night of the 14th, with oysters, smoked salmon, foie gras and other delicacies. Treat you and your special someone to an unforgettable Spa treatment at our over-water Tamara Spa. 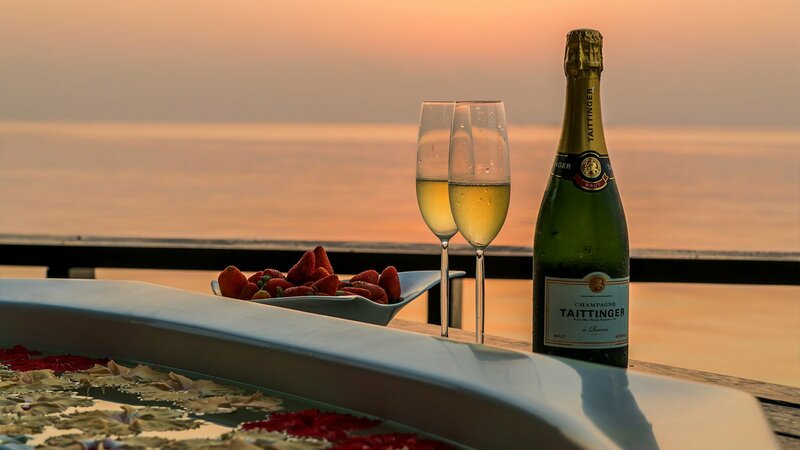 Choose between a frangipani body wrap or a lime and ginger body scrub, then enjoy a Balinese Massage for two, followed by a Jacuzzi bath while sipping Taittinger Champagne. Guaranteed to please, this Spa treatment will leave you feeling relaxed and pampered. This special Spa treatment costs $450++ per couple. 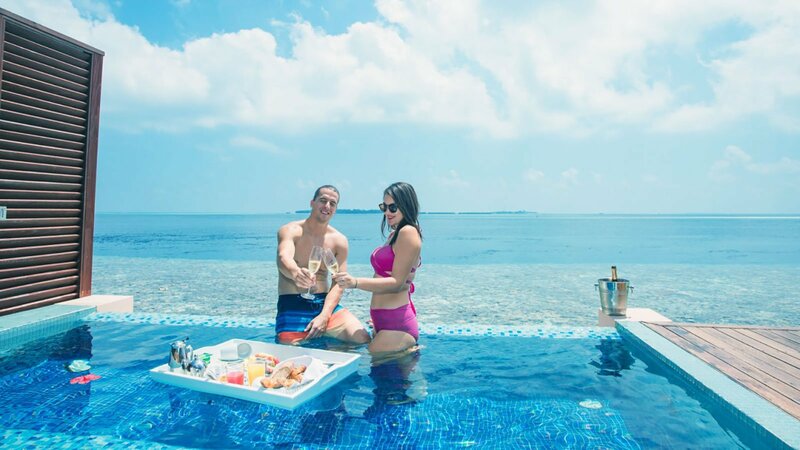 If you are staying in a Deluxe Water Villa or in a Sunset Water Suite, surprise your loved one with a floating breakfast on Valentine’s Day. Your breakfast will be served on a floating tray in your own private pool, with panoramic view of the Indian Ocean… better than any breakfast in bed you had before! This healthy and tasty breakfast costs $50++ per person. We wish you a romance-filled Valentine’s Day and lots of pleasant moments at Lily Beach!